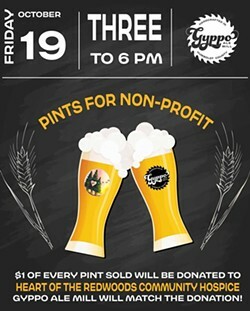 Help us help by drinking beer! 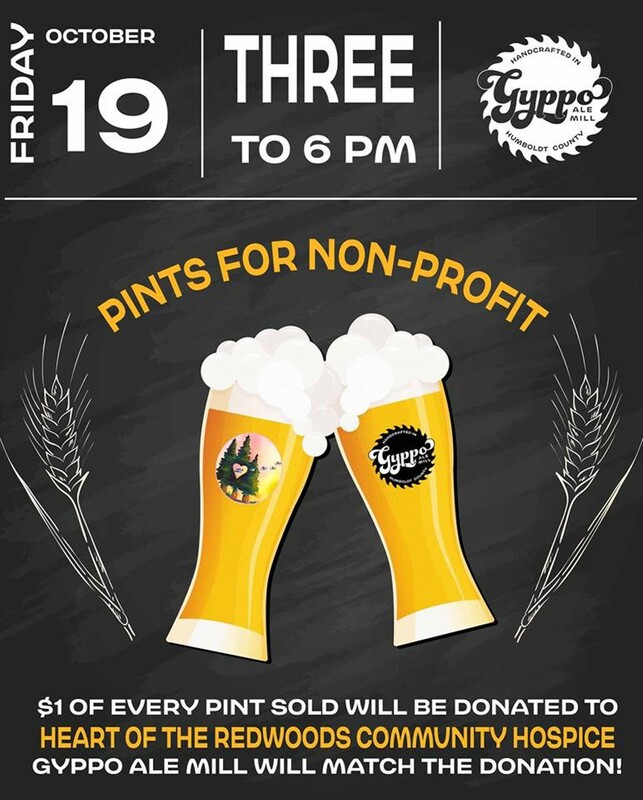 $1 of every pint sold will go to Heart Of The Redwoods Hospice and Gyppo Ale Mill will match the money raised by you drinking! Hospice care focuses on quality of life and makes comfort a priority. It emphasizes a patient's dignity and right to personal choice at the end of life. HRCH offers Home Care, Pain Management, Grief Support, Legal Information, Workshops, and Circle of Care Coordination. Services are available 24/7, free of charge.